Michael Gillenwater co-founded the Greenhouse Gas Management Institute, and serves as its Dean and Executive Director. Dr. Gillenwater is a leading expert on climate change and renewable energy, with a specific focus on greenhouse gas (GHG) measurement, reporting, and verification (MRV) issues. He has dedicated his career to the development of the policies and infrastructure needed to produce highly credible environmental information that can serve as the basis of market and other compliance mechanisms, especially monitoring and verification policies and management and reporting systems for GHGs and ecosystem services. Michael has worked on greenhouse gas emissions and climate change policy since 1995 when he worked on an early study of sulfur hexafluoride emissions. He is a lead author of four Intergovernmental Panel on Climate Change (IPCC) reports over 20 years, whose work was recognized with the Nobel Peace Prize, and has participated in the United Nations Framework Convention on Climate Change (UNFCCC) process as a negotiator and then expert for over two decades. For the UNFCCC, he developed and taught the courses that certify experts to serve on compliance review teams under the Kyoto Protocol and has supported both the Clean Development Mechanism Executive Board and the Joint Implementation Steering Committee as a methodology expert. He was also a core advisor to World Resources Institute and the World Business Council on Sustainable Development on the revised edition of the Greenhouse Gas Protocol. Michael has taught courses on GHG management at Princeton and the Harvard University Extension School. In the late 1990s, Michael co-developed the U.S. Greenhouse Gas Inventory Program within the U.S. Environmental Protection Agency (EPA). He was lead author of the Inventory of U.S. Greenhouse Gas Emissions and Sinks reports published from 1997 through 2003. Michael’s work at EPA concentrated on development of national systems for producing high quality greenhouse gas emission inventories and on designing and negotiating the international compliance review process under the UNFCCC and Kyoto Protocol. He is widely published, with articles in Energy Policy, Environmental Science and Policy, Environmental Finance, Nature Reports Climate Change, Renewable Energy, and ASTM Journal of Testing and Evaluation. He is the founding co-Editor-in-Chief of the journal Carbon Management, published by Taylor & Francis. Frequently interviewed by the media as an expert, he has been quoted by the New York Times, National Public Radio, Mother Jones magazine, Los Angeles Times, Business Week, and USA Today. 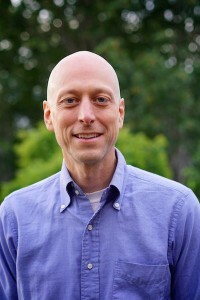 Previously, Michael founded the non-profit Greenhouse Gas Experts Network and was Director of the EcoRegistry® Program at Environmental Resources Trust. Prior to joining ERT, Michael was first with the U.S. EPA’s Office of Policy, Planning and Evaluation and then EPA’s Clean Air Markets Division. He has also worked for Sandia National Laboratories and ICF Consulting’s Global Environmental Issues Group. Michael earned his doctorate from Princeton University’s Science, Technology, and Environmental Policy Program (STEP) in the Woodrow Wilson School of Public and International Affairs. His research focused on the economic and environmental impacts of renewable energy and emission markets. He has a masters from the University of Sussex in Evolutionary Adaptive Systems, where he was a William J. Fulbright Scholar. He has two additional masters degrees from MIT in environmental engineering and “Technology and Policy,” as well as a bachelor’s in mechanical engineering from Texas A&M University. Michael is married to Bindiya Patel, who is Deputy Director of Public Health at PATH. They have two daughters, Keya Patel Gillenwater and Cimeren Patel Gillenwater and live in beautiful Seattle. The slightly deeper answer to this question is that the Institute is something that needed to be done, yet no one else was willing to take the risk and put in the work to do it. I now know from experience why: it is difficult; but most things worth doing are. I have blogged on some of problems the Institute was designed to address here, and more is on the Institute’s mission is separately available on the GHGMI website here. But this is supposed to be about me and why I’m here, not an explanation of the role of the Institute. At the core I am an engineer, and so I have a personal passion for building things. And by things, I include not just objects, but institutions, systems, and ideas. I think of the Institute as an especially ambitious building project, something bigger than myself that then can serve a unique and needed function in the world. My goal, which I share with my colleagues, is to build something sustainable and transformative. A friend called it the curse of being a social entrepreneur…all of the challenges and risks of entrepreneurship without much of the upside (e.g., selling your company for millions). Who wants to say that Twitter was their legacy, anyway? This is the biggest building project I have ever attempted, so it is taking some time. But luckily, the Institute has some of the most incredibly committed people working for it that I have ever met. This point goes back to my observation on craziness. The people working for the Institute are passionately committed to our mission. And we need passion as well as smarts, because climate change is the biggest challenge we have ever faced as a species. As I have blogged about previously, climate change is the mother of all problems: it’s global, it’s long-term, it involves deep uncertainty, and it calls for complex collective action solutions. Basically, it is exactly the type of problem that human beings have no evolved ability to solve or even clearly conceptualize. It works against all our instincts. Which means we need solutions that counteract those instincts, ideally by using other instincts to overcome them. One of the key tools society has repeatedly used is the creation of professional classes and norms of behavior to address large social challenges. Take the protection of social contracts (lawyers), public health (doctors), justice (law enforcement officers), safety (emergency responders), etc. It is not the text of the law that makes society work. The law is preserved, advanced, and shepherded by a professional class of people who have developed common norms, ethics, rules, and standards of competency that make the whole system work. Doesn’t something as big and important as the maintenance of the Earth’s atmosphere demand similar attention? Cultivating a class of professionals who oversee the work of monitoring and managing society’s greenhouse gas emissions is an essential step towards treating climate change with appropriate severity. The idea is bold, but it is not out-of-step with the size of the problem we are facing. (If anything it is still dramatically undersized, but it is an important contribution to the solution.) Policy is important, a critical driver of change, but it is also essential to realistically look at and address the challenges that systemically face implementation. (Read here for my broader thoughts on the kind of social infrastructure needed to meet the challenge of climate change.). If there are others that feel as passionately about our mission as we do, please come join us. Apparently you have to be a little crazy nowadays to think we can really build the kind of global social infrastructure that will be needed to solve this problem. But crazy or no, the cold serious truth is that somebody has to do it. Gillenwater, M., 2011. “What Is Additionality? Part 1: A long standing problem,” GHG Management Institute, Discussion paper No. 001. Gillenwater, M., 2011. “What Is Additionality? Part 2: A framework for a more precise definition and standardized approaches,” GHG Management Institute, Discussion paper No. 002. Gillenwater, M. 2011. “What Is Additionality? Part 3: Implications for stacking and unbundling,” GHG Management Institute, Discussion paper No. 003. Uniform National Standard for EcoPower® Renewable Energy Certificates, Environmental Resources Trust, November 2005. IPCC Good Practice Guidance for Land-Use, Land-Use Change and Forestry, Lead author for “Cross-Cutting Issues,” Chapter 5, Intergovernmental Panel on Climate Change, 2004. Background on the U.S. Greenhouse Gas Inventory Process, U.S. Greenhouse Gas Inventory Program, U.S. Environmental Protection Agency, Office of Atmospheric Programs, EPA 430-R-02-007A, June 2002. Greenhouse Gases and Global Warming Potential Values, U.S. Greenhouse Gas Inventory Program, U.S. Environmental Protection Agency, Office of Atmospheric Programs, April 2002. Emissions by Economic Sector, U.S. Greenhouse Gas Inventory Program, U.S. Environmental Protection Agency, Office of Atmospheric Programs, April 2002. Inventory of U.S. Greenhouse Gas Emissions and Sinks: 1990 – 1999, U.S. Environmental Protection Agency, Office of Atmospheric Programs, EPA 236-R-01-001, April 2001. Inventory of U.S. Greenhouse Gas Emissions and Sinks: 1990 – 1998, U.S. Environmental Protection Agency, Office of Atmospheric Programs, EPA-236-R-00-001, April 2000. Inventory of U.S. Greenhouse Gas Emissions and Sinks: 1990 – 1997, U.S. Environmental Protection Agency, Office of Policy, EPA-236-R-99-003, April 1999. Inventory of U.S. Greenhouse Gas Emissions and Sinks: 1990 – 1996, U.S. Environmental Protection Agency, Office of Policy Planning & Evaluation, EPA-236-R-98-006, Mar. 1998.